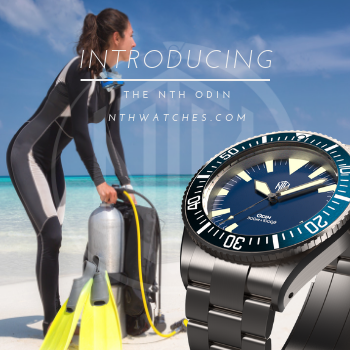 Since their debut in 2017, Nodus has turned out one solid design after another, a streak that continues with their latest offering, the Avalon, which is their first 300m diver, and a real beauty. As they have with previous watches, the Nodus team drew inspiration for the Avalon from the past and incorporated those cues into a sleek, modern package. A good look reveals elements of Doxa and Seiko, most notably in the tapered turtle case. They let me have a turn with this Clover Green, steel bezel variant. The Avalon's stainless steel case is 43.5mm wide. This is fairly large, bordering on the oversized for my 6.75" wrist, but you'd never know it as they have employed just about every trick in the book to make it appear smaller. The barrel-shaped case tapers sharply to 20mm lugs. Overall length is a tidy 48mm. The tall and neatly fluted and signed screw-down crown is partially recessed into the case at 4 o'clock. Perhaps the prettiest aspect is the way the polished bevel along the top edge and the sheer, brushed bevel on the underside meet to form a crisp arc that runs lug-to-lug, creating a fabulously lean profile. The bezel has a few tricks of its own. 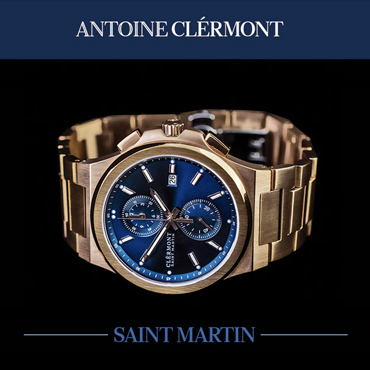 At 42mm it is narrower than the case and sports a slim polished chamfer. Its matte-finished edge presents only half its height for the knurled grip. Below, it cuts sharply inward to meet the polished bevel. The result looks remarkably like that of my Doxa SUB 300, albeit with longer grips, and that is not a bad thing at all. Of course, a pretty bezel isn't worth much if it doesn't function, and this one is ideal, traveling smartly through its 120 clicks with firm action and no undue effort. Nodus offers both ceramic and brushed steel bezel inserts. I suspect the colored ceramic would make the dial appear larger, thus better telegraphing the Avalon's size. With the brushed insert, your eye primarily registers the dial, again making the watch seem smaller than it is. Whichever insert you choose will have engraved markers, and a lume filled triangle. The ceramic takes the nod for nighttime visibility as its dive timer is fully lumed. For the sake of daytime legibility, the steel one makes do with black paint. 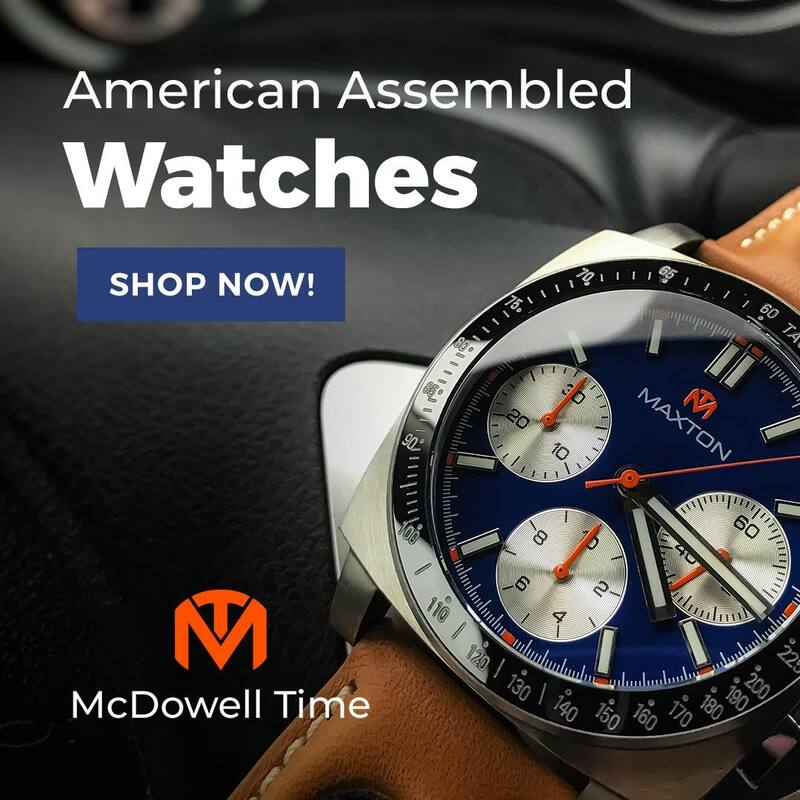 You can get an Avalon in blue, black, orange, white, or green dials, each with a steel or ceramic bezel insert (the white dial has a black insert) and color matched chapter indexes. All are attractive, but the less common Clover Green is my favorite. Like other Nodus designs, the dial is uncluttered, and its minimal text is printed in a modern, lightweight, unobtrusive typeface. The applied and polished logo is a nice touch. The long markers remind me of certain vintage Eternas. They are applied, polished, and filled with a pale green, crazy bright, C3X1 SuperLuminova. The polished, diamond-cut and lumed hands flare towards the tips in a manner similar to, but not as pronounced as, those on Nodus's first watch, the Trieste. I particularly liked the two-tone lume and orange tip on the second hand. A domed and AR coated sapphire crystal tops it off. Around the back, you will find a solid caseback with the image of a sword. Medieval weaponry is not exactly common among dive watch decorations; however, Avalon was an island, so at least water is involved. A 24-jewel Miyota 9039 is sealed safely inside. This is the thinner, no-date version of the famed 9015. Like that unit, it hacks, hand winds and has a 28.8k bph sweep and 40-hour power reserve. Nodus performs final assembly in California and regulates the movement in four positions. I firmly believe a dive watch deserves a serious attachment. Yes, I wear most of mine on leather, but when it comes to dive watches, I'm a total poser. Real dive watch guys dive, and they need something secure and waterproof. For this purpose, you can't go wrong with the Avalon's solid h-link bracelet. It is brushed on top and polished along the sides to match the case. The links are secured with single-ended screws that seem slightly sturdier than others I have encountered. If you are particular about fit, you will appreciate the six micro-adjustment perches in the signed flip-lock clasp. I rather liked its brightly polished edges. Overall fit and finish are top notch without any sharp, desktop-destroying edges or corners. 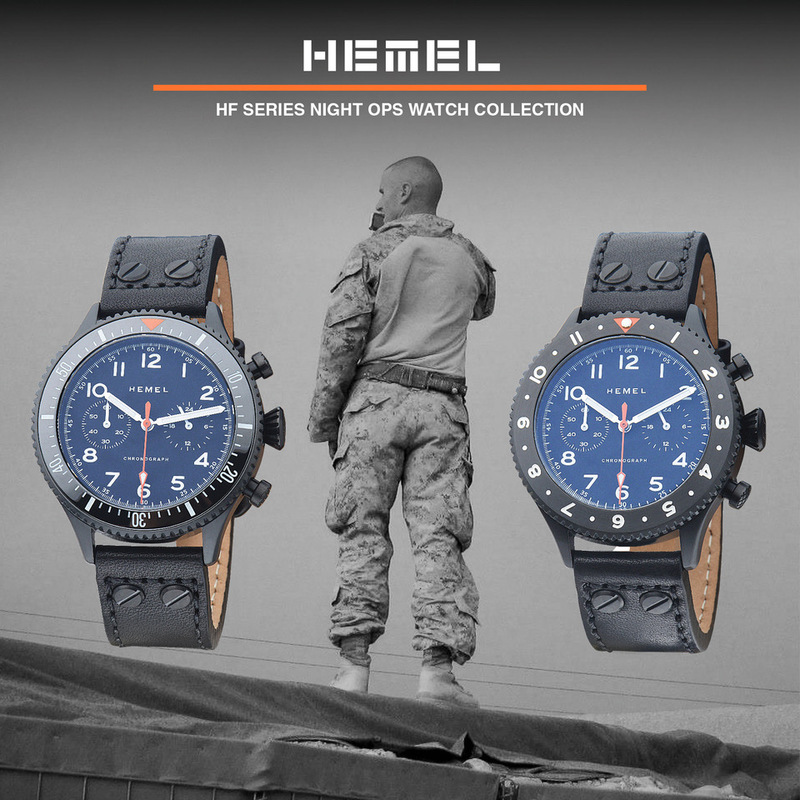 Like the rest of the watch, it is a quality piece; comfortable and confidence-inspiring.